Most people that follow me know by now I’ve been building and finally moved into a new house in Greeneville, TN. Something I researched and decided on early on in the process was installing a whole home audio setup throughout many of the rooms. I looked at two options with NuVo and Sonos, and ultimately decided on the NuVo P-Series network based system for a few reasons. I have to say I LOVE this system and I’m already considering working with the local builder to install them in other custom homes using mine as a demo installation. So what makes it co cool? The biggest reason I went with a wired system was I wanted the option of what speakers I installed. I decided on RBH Sound MC Series 8″ in the ceilings of most of the rooms. I also used the MC-Series in wall speakers in the family room as the initial 7.1 home theater setup. Their speakers sound awesome for the money and I simply love the in-wall dual 8″ subwoofer. We painted all the grills to match the walls to there is nothing that stands out about the walls. Once I chose the speakers and decided on locations the electrician ran speaker wire to a single location in the basement where the NuVo units would reside. So I had to decide then on the various options for the players themselves. Being someone who does not do anything small I read the specifications on the P100/P200 as well as the P3100/3500 options. What drove my decision was the initial number of “Zones”. I designed a total of 9 zones with one zone split to 4 speakers using a switch box to maintain the resistance to the amp for the outdoor speakers. Since these are used the least it did not make sense to burn an entire zone on them. Based on the total number of zones I knew I was going to be into the P3100 or the P3500 since they are 3-Zone units in a 1U rack mount, also what I wanted. The P100/P200 are single zone units. The only difference is the output of the various units. Since I decided on the higher end RBH MC-Series I elected to go with three P3500 units. I could have mixed and matched, but frankly it was easier to get all the same ceiling speakers and all the same amplifier units. I’ve since decided to add a P100 for the master bedroom connected to a pair of Cambridge SoundWorks M50 Bookshelf speakers. We do not use the zone much but when I get to the features of the system….you will see why I wanted to add it. So now that I designed the system, chose the speakers, had the cables run, I can explain the awesome features of the system. First and foremost it has built-in music services for streaming. They include FOUR services right into the system. You do need to have accounts for the ones you want to use which was not a problem for me. Why this is so nice is there is no need to send streams from a phone or other device, it’s 100% integrated into the players. Each zone also supports a Line In option so you can connect other items. I’ve run connections for a couple of Airplay devices so I can also have the option of using other music services and sending it through AirPlay to the input. This makes it VERY flexible a player system for source audio. Finally the entire system works together. You connect all players to your network via ethernet on the P3x00 series, BUT you can chain them together so the whole stack only burns one network port. Your P100/P200 can use a hardwire or a wireless gateway but once they are on the same network, they find each other and present a single configuration which you control from your iOS or Android Device. The device control is not LOCAL to a device either the zone names, what’s playing where, etc is updated on any device running the application so there is no locally store information. Lastly, you can create any combination of input/output zones. You can have one input playing on all zones, or have different inputs to various outputs. Again, this is MAJOR flexibility in the player system. The application is easy to use and understand and very intuitive. It also supports auto updates to the app and the players without user intervention. So far everyone that has come to visit is more than impressed at the setup and the technology behind it. The RBH Sound speakers have a great range in them and combined with the power and flexibility of the NuVo P-Series, I’ve got to say I’ve become a fan boy. If you want to know more or have questions, let me know in the discussion and I can try to help you out. i have a question…after all of the components and wire are paid for and the installation is complete, is the nuvo system free if say i just used pandora? or do you have to subscribe to something? Great question actually! The hardware is one time purchase, BUT to use the services like Pandora, Rhapsody, and SirusXM you do need to have existing subscriptions to those. You just configure the NUVO with your login information if you already have a subscription. Great post, just had my new build wired for NuVo, I see on your system you used P3500. Am I correct in saying you still need the Grand Concerto e.g to power the lcd room controllers ? Hey Ben, I have NO grand Concerto gear at all. I only have the P3500’s and I am adding the P10 wall volume controls. I do not even think the Grand Concerto gear is intended to work with the P-Series line. Hi Chris, Thanks for reply. So is the audio source built into the P3500 e.g spotify, etc. or you have an external source? I have tried to make sense of the legrand website but as this gear is aimed at pro install its pretty vague. I now looking into the sonos connect amp’s which I would install in my av room and then put a few wall mounted ipads around the house as controllers. All the services are built into the P-series players. You simply log into them from the iOS app with your current usernames and passwords. It’s pretty complete with all the services it includes. You don’t need multiple controllers with NuVo P-Series just one or two iOS devices for total control then the P-10’s for a per zone volume. It really is a simply plug in player. Cannot speak to the Sonos, I still love the Nuvo and I heard Sonos was laying off engineers recently. Chris, Thank you for the reply. I have my home wired for NuVo and will look into the P series. Thank you for the overview. We have had the P3100 for almost 2 years but are disappointed that Amazon prime music is not an option. 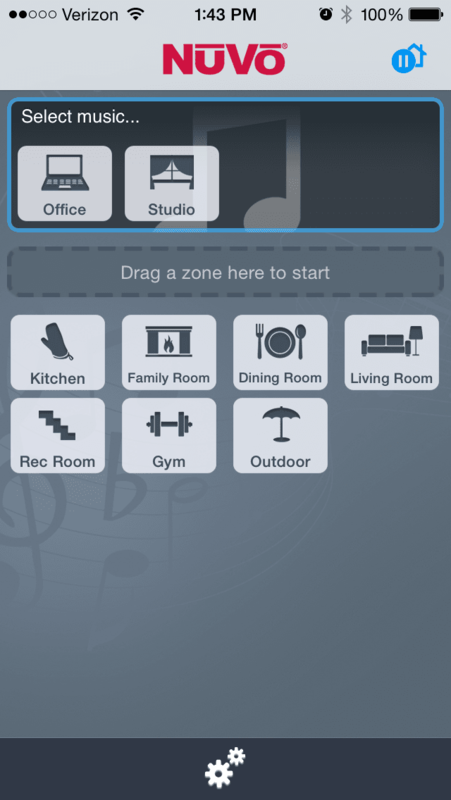 Are you aware of any way to stream such music from our mobile devices through the P3100? You mention a line in option, how does that work and would that help? Depends on your mobile device, but I have an iPhone and I just have a older Airport configured just for Airplay. That is connected via audio cable to one of the inputs. Then you can send Amazon music via AirPLay to that device and set the 3100 to that line input. Pretty simple really. For Android I am not sure what you can use to do something similar. 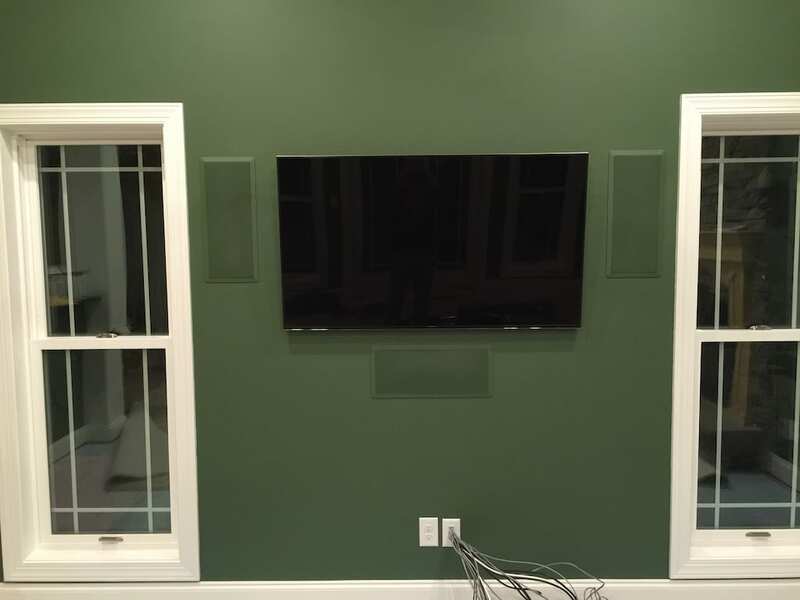 Chris, purchased a home recently that included a fully wired Essentia 6 Zone system (plus tuner). This system is now 12 years old, would you have any comments or recommendations regarding upgrade options? For example, can I upgrade my wall mount control panels? Thanks. I’ve only had experience with the NUVO product so unfortunately no information on how to upgrade the older systems. I’d give legrand tech support a call they have been great when I call. They can also point you to a local dealer. I ever actually have ended up needing a switchbox. Only thing I’ve done is wore two pairs to one Zone as a 4ohm load and also wore one speaker to a Zone and configured it for mono for a location that could only really have space for a single speaker. Hey Chris. We had 2 of the P3100 units installed in our house to accommodate 6 zones. We had 4 live so we were using 3 zones on one unit and 1 on another. This was installed about 2 1/2 years ago. 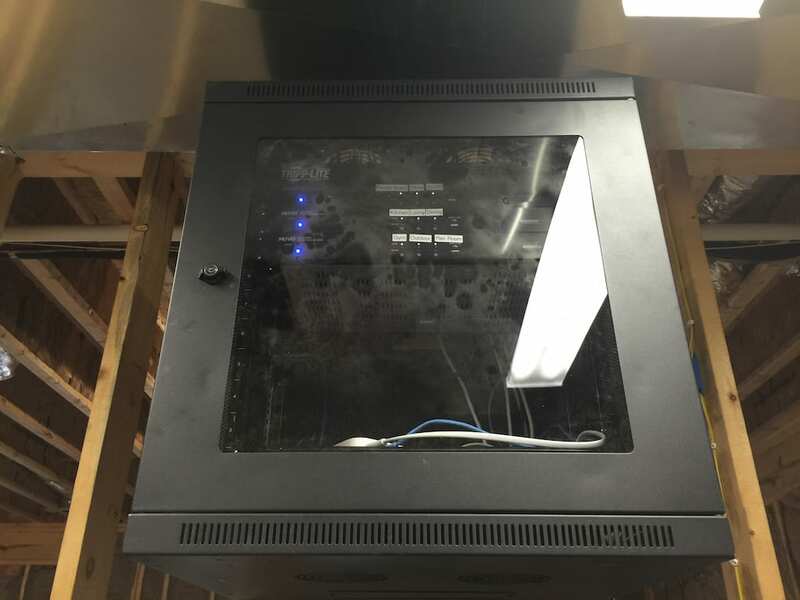 Suddenly after pouring all kinds of money into the setup/wiring during our new home build, one of the units just stopped working and nothing lights up on it. Yikes! AND to add insult to injury now one of the zones on the other unit is now not working. Just wondered if anyone has had this issue? Our installer isn’t being much help and now I’m going to try to contact LeGrand to see if there is any recourse or warranty for this unit. Anybody able to be any help on this or have had a similar situation? I had an issue with two of my players. In one case the RCA audio inputs were dead and another a Zone died. In both cases I contacted legrand directly and they were very helpful and did replace them even though they were over the one year warranty. You will most likely be without the player in order to send it back and have them either repair or replace it. I’m sorry your installer is. It much help but just call tech support directly. Thanks Chris. I’ll give them a call because the small company that our builder hired to do our structured wiring and this as an add-on for us basically told me they were ‘electricians’ and the guy who did all the specialty structured wiring then was no longer with them. But, the builder has left us holding the bag for a lot of inept work. Buyer beware when it comes to builders. I’ve heard of bad experiences but ours was even beyond that. Been trying to just deal with all of that and now we are having other issues like this on the stuff that I wish now we had done more research on. We chose Nuvo because had the opportunity to do that wiring ahead of time, but now I almost wish I had done Sonos because you can pick them up and carry them into a different room, etc. But . . . . I do like the speakers being installed and not collecting dust on a shelf. I am quite sure Nuvo will work with you and replacing a unit is easy. Just swap it out and re-add the zones as they were before. You cannot “Backup” a config but you can re-create the zones and boom you are done. I did not want Sonos mostly as I like music hard wired and as I mentioned in the article I wanted to chose best of breed speakers and everything is ceiling mounted and clean. Chris, they are going to fix them both for me. All I have to do is handle the shipping ‘to’ them! Thanks for the advice! Awesome! They are a good company for sure. I bought a house with a 6 zone wired speaker system in place. If I get 2xP3100 components, what else do I need to wire up the system. Do I need a P100 for each speaker zone? If you have 6 zones pre-wired (6 pairs of speakers) and all the speaker wiring comes to the same location then all you need is two P3500 two P3100 as each of those are 3 zones (3 pairs) each. If the wiring is not run to the same central location you may need to break it up with P100/P200 units, but the easy hope is they are all run to the same place and drop in two of the 3 zone units. Yes, they all run to the same cabinet. Did you install the wall control units in each room? P10 – I think? I do have the wall units installed but you need a PoE switch the connect them to. Not all rooms have them but some do. What is a PoE switch. Does it have a part number. You need a network switch that supports power over Ethernet to use the wall controls. There is many out there to choose from. The P3100/P3500 are not wireless they require a network switch to get online as well. I’m afraid on this you may need to get some local networking help as the wall controls also require pulling cat 5 cable to them. Do the P10 wall switches let you select a line-in as a Favorite? Or maybe what I should ask is, does the app let you choose a line-in source from a zone as a Favorite? Good question. 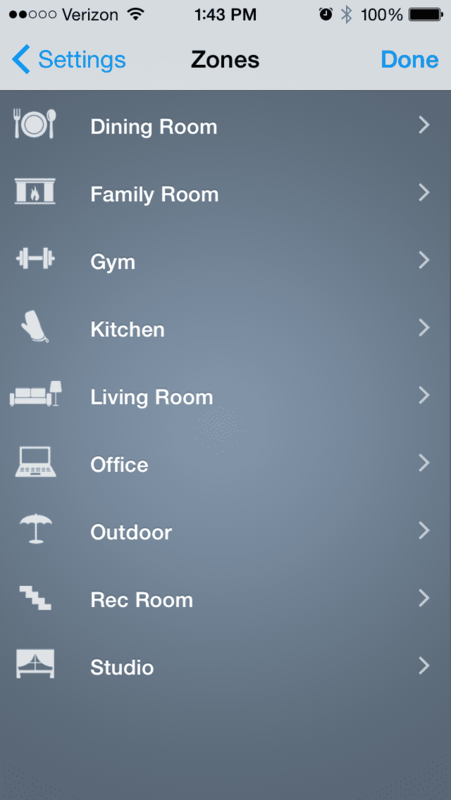 The wall switches have 5 favorites but those are taken from you r “top 10” options in the app and it’s the first 5. So I guess if the app let’s you app a line in as a top 5 then it would work. Those top 10/5 are global for your whole system though not per wall switch or zone. Why didn’t you choose the Nuvo speakers? Mostly because I wanted speakers from RBH or another company “known” for speaker design. I am sure the Nuvo ones are fine, but never heard them or used them and I love the RBH ones, plus I got a killer deal on them at the time. Great information. I am currently looking for a multi zone system for a new construction house I am building. This may work. We still love the system, although I hate the new UI on the iOS app. I have a Nuvo Essentia and Nuvo NV-MPS4. I can no longer stream music through the system. I called NuVo tech support and they told me the NV-MPS4 is no longer supported (I assume that means the Essentia as well). They offered to sell me the P-3100 at a discount to replace the unit since they don’t provide support anymore. My frustration is paying NuVo more money after they dropped support on their previous line. Any thoughts on going to the current NuVo product vs. some of the competition? I have six wired zones I am controlling. I can say I have had the P3500’s for 4 years now and I have even had one replaced that lost a zone and they were great about it. I had to ship it back first no cross ship. They have released new product in the NuVo line recently so that tells me that is the line they must be moving forward with over some of the older stuff. If you have 6 zones you will need TWO units as each is 3 zones per 3100/3500. Ultimately the nature of technology is that is gets replaced at some point so if you got more than 5 years out of the old system I’d call that a win. Thanks for the response. Any other brands worth looking at? I was considering the Nuvo platform for a while, but realized that for the same price I could get Sonos with similar specs but with tons more support and services. Specifically Nuvo has a closed API, a terribly basic bluetooth implementation, very few streaming services, no Alexa or Google Home support, no universal remote support, and their simple wall keypads (which then became the only reason I considered Nuvo) are $200-300 a piece.